Over the past year or so, the world of instrumental grime has slowly infiltrated dance music communities in the United States, riding on latent dubstep excitement and the tireless works of producers like Rabit and Sharp Veins. Still though, grime nights are rare at American clubs and, at best, the music is viewed as an abstract form of music from across the pond, often declared undanceable. Even more irking is the fact that the constant dialogue between American hip hop, footwork, Jersey/Bmore club and grime is often ignored, or worse, lumped together into some glossed over bass music dialectic. 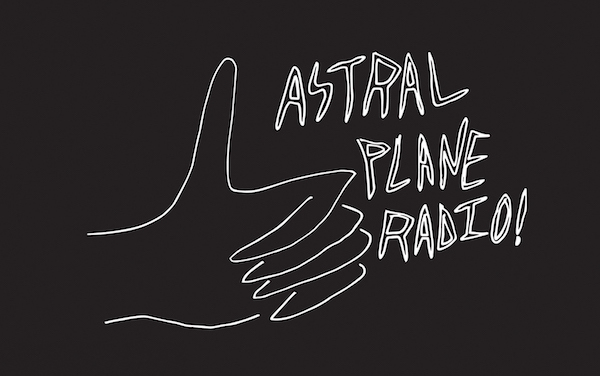 This edition of Astral Plane Radio is intended to function as a gateway of sorts to the world of grime for those Americans who are both unfamiliar, yet intrigued by the oft-dense, terrain of 8 bart/eskibeat/sublo. Rap refixes, hip hop blends and an arsenal of contemporary R&G hits make up the brunt of the mix, an attempt to reach both the discerning house and techno heads and maybe even a few lumpen frat bros. It’s a light hearted selection and, unlike some of the more abstract grime the aforementioned American producers push, is firmly aimed at the dancefloor. DJ Milktray, Finn, Visionist, Gundam and Mssingno all prominently feature, and Drake, Destiny’s Child, Brandy and Ginuwine are interminably woven into the fabric of the mix. Even more apparent is the impact of The Neptunes, Heatmakerz and Timabaland, three production outfits that should be comfortably accessible for those of us who aren’t fine tuned to the wonders of the Triton keyboard or the intricacies of a square wave. Anyways, it’s our hope that Astral Plane Radio 005 can function as a bridge across the Atlantic and an entryway for our American audience into London-dominated world of grime.